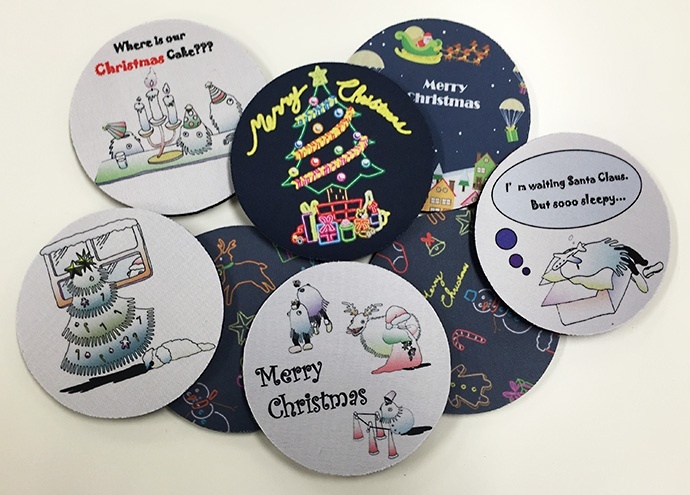 Let's see how to make the magnet sheet with UV curable inkjet printer for direct printing and cutting by cutting plotter. 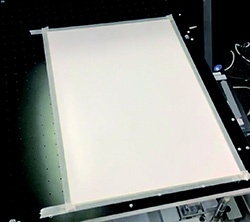 The next work process can be started immediately because of using the ink curing by UV (ultra violet) without the need of drying time. For details, please see [How to] Sticker. 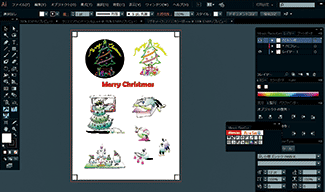 For the first, please print the data on a magnet sheet using the UV curable flatbed inkjet printer and RIP software [RasterLink6]. 2-1. Set the magnet sheet. In order to prevent the printer head from hitting the sheet, have a taping of the edge of the sheet with masking tape. 2-2. Open [RasterLink6] of the PC connected to the printer and input the data to confirm the print condition and print place. 2-3. When they are confirmed, you can start printing. 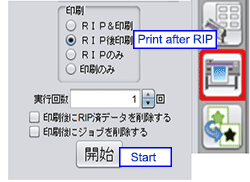 Select 'Print after RIP' and click 'Start' button. Printing starts after switching the printer to "Remote" mode. Next, cut with the Flatbed cutting plotter and [FineCut8]. 3-1. 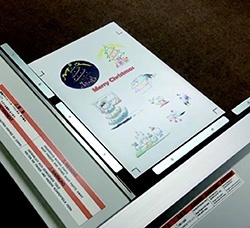 Place then the magnet sheet on the cutting plotter. 3-2. 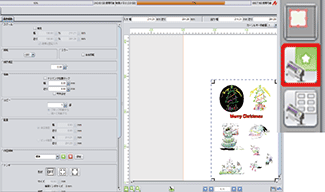 Open the data with Illustrator of the PC connected to the cutting plotter. 3-3. Hide every layer except the cutting lines and the register marks layers. 3-4. 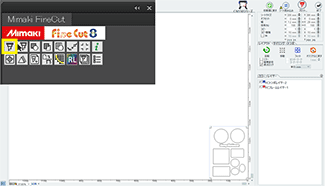 Select all the cutting lines and the register marks with [Ctrl] and [A] buttons and open the window for setting cutting condition of [FineCut8]. Uncheck the registration marks not to cut. 3-5. Detect the register marks printed by the printer with sensor. 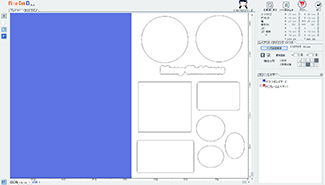 Then switch to [Remote] mode of the cutting plotter. 3-6. Back to the PC window and click on the [Register Mark] tab and select [Detect Mark] to detect the register marks. 3-7. 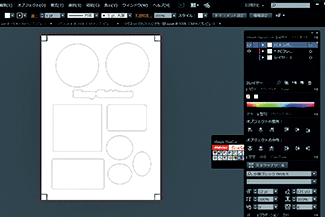 Click the [Plot] button to start cutting! 3-8. The original magnet is completed after cutting.